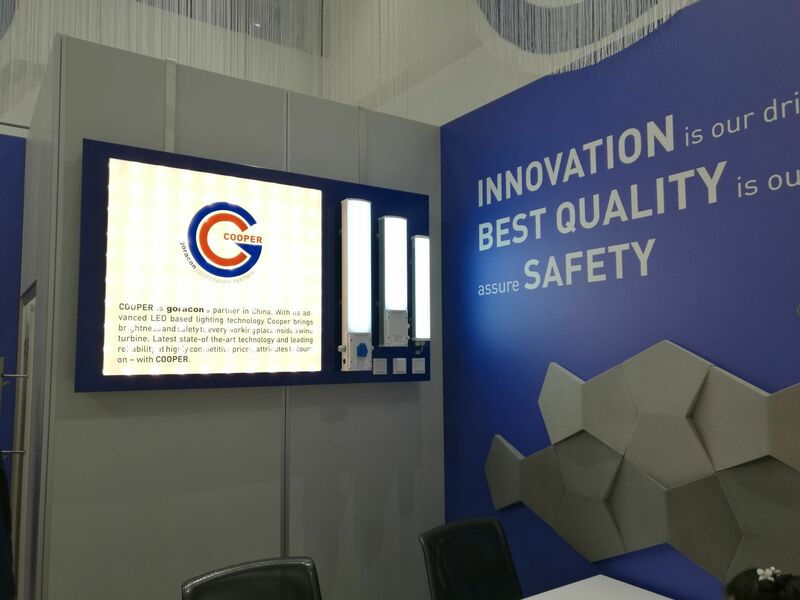 September 27-30, Cooper (Tianjin) Technology Co., Ltd., as Goracon's strategic partners, took part in the world's leading energy tradeshow - Hamburg tradeshow, show the excellent results of China-German company cooperation. Hamburg International Wind Energy Exhibition began in 1989, held every two years, is one of the world's largest wind show. The three-day tradeshow attracted 1,200 wind energy companies from 35 countries around the world. 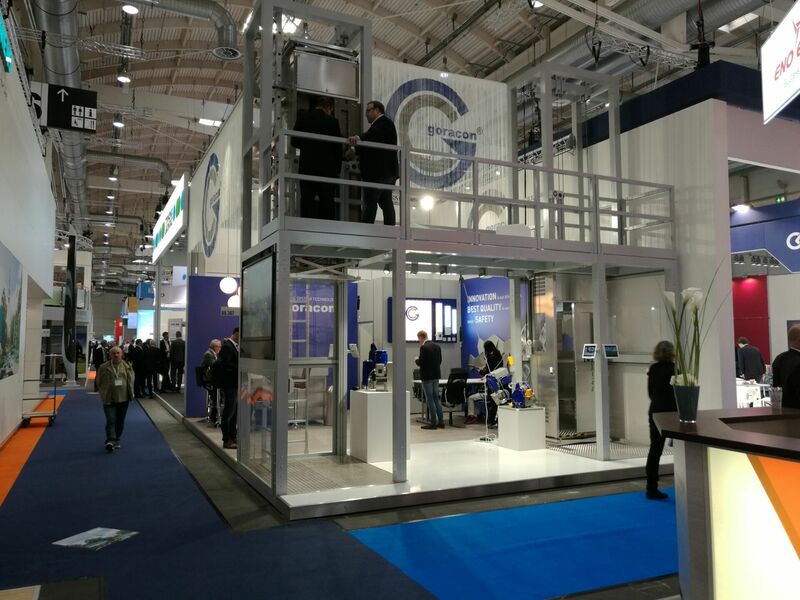 Cooper and Goracon participate in this worldwide wind energy tradeshow together, display “G-products” together, G-servicelift of wind tower, platform for concrete tower setup, climber, hoists, worklifts and the solutions for external maintenance of towers and lighting system. The cooperation between Cooper and Goracon dates back to 2009. Goracon, as a design manufacturer focuse on providing all project solutions in the high access work area. After working together for several years, we created a strong desire to continue to deepen cooperation and complement each other. With the gradual implementation of the Exxson Industrial Group's globalization strategy, in recent years, Cooper and Goracon, as the marketing leader for the European market for platform, have played a highly strategic role in Exxson's global marketing. Cooper, on behalf of Exxson Industrial Group, took part in Hamburg Wind tradeShow, designed to show Exxson Industrial Group's determination to expand European market.